Thanks for posting that, Anthony! 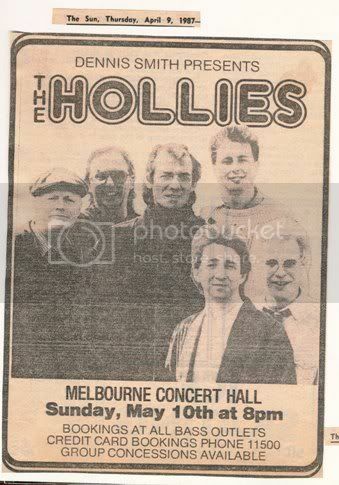 That was so nice of them to donate all their royalties and proceeds to the cyclone victims, but coming from the Hollies, that doesn't surprise me! 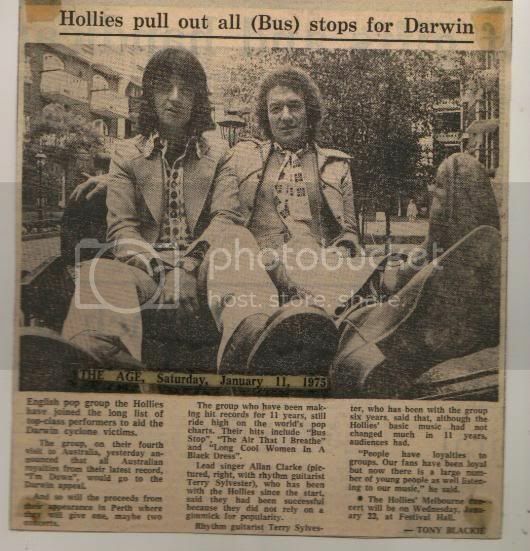 Yes the Hollies were very kind to do this for Darwin. 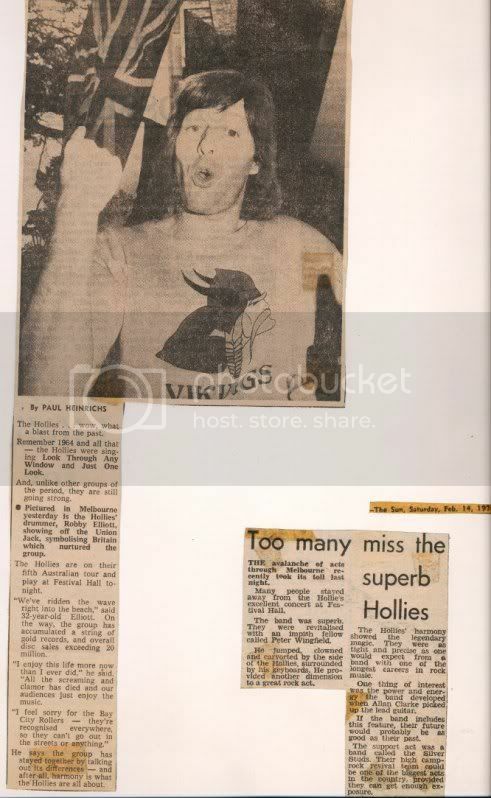 I think the group had a soft spot for Australia. Thanks for writing! 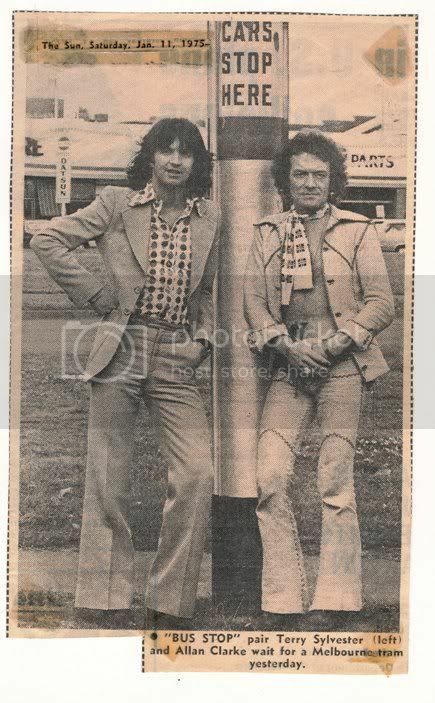 I know they toured there at least twice, but Australia has a very hot climate - not something I like too much! I had a computer breakdown and lost all my links, slowly I'm finding them all again, can somebody give me a link to aphoto shop so I may upload photos there then put them up on sites like these. Thanks Rob, slowly getting back into all the sites, now I have a book with all my passwords, better late than never. 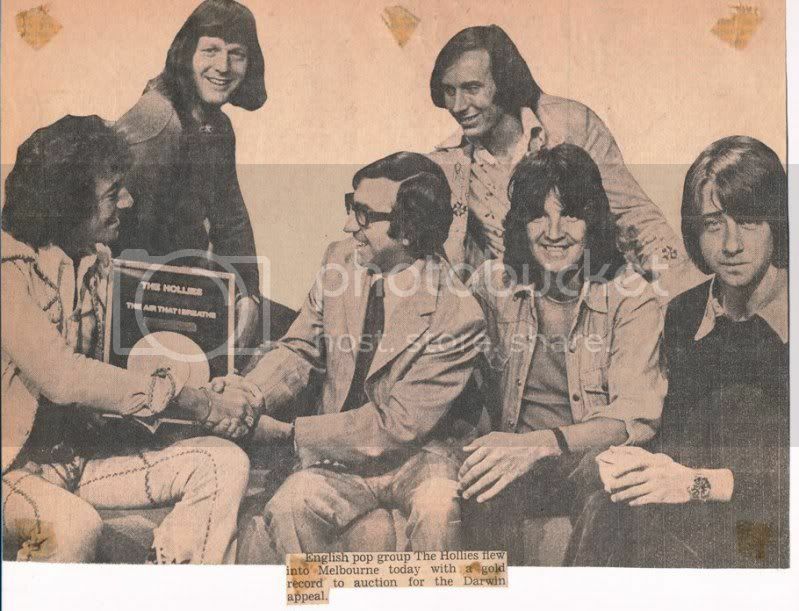 I've been able to get into my old photoshop site, thanks to Rob's link. 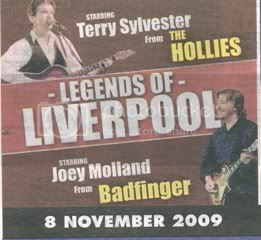 The only thing I can't get into is my Hollies myspace site. Thanks for sharing those cuttings, Anthony! 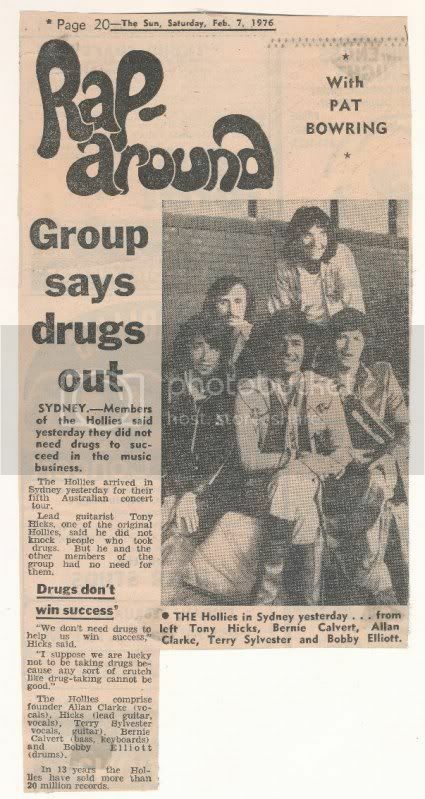 Good to hear Tony say they don't need drugs!